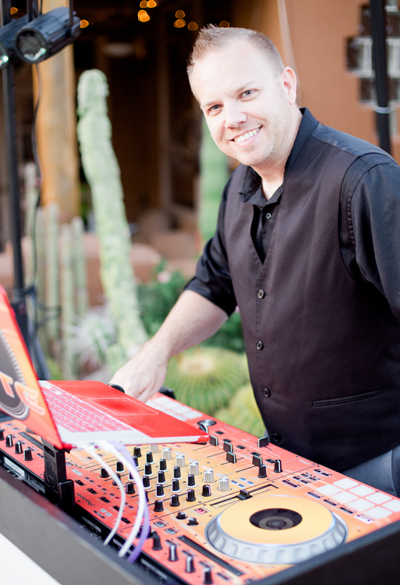 Elite Event Services is a professional event services company that provides nothing less than exceptional DJ, Emcee, Sound and Lighting services in the Phoenix, Scottsdale and Surrounding areas. We are a locally owned full time family business with only 3 full time employees. Elite Event Services has been providing exceptional service since 2001. We don’t just play music from some playlist; we play music based on what the crowd wants to hear. We will play your requests and play what moves your guests onto the dance floor. Some of our current and previous clients include: Aramark, Disney Cruise Lines, NFL Shop @ Super Bowl, Home Depot, In N Out, Boost Mobile, Oakley, KTM Motorcycles, Rockstar Energy, Fiesta Bowl, Nike, Petsmart and many more. We know that the event is about you and your guests and we ensure that everyone has a great time. We realize that attention to detail is key so we provide free unlimited phone, Skype and email consultation prior to your event to ensure a successful and memorable night. We make sure that you will remember this night for many years to come. Since most of our business is repeat clients and referrals we will do what it takes to ensure 100% client satisfaction. We always arrive early to every event we do, typically 1.5-2 hours in advance. We arrive early so that we can set up, sound check, speak with our client about any last minute details and guarantee our music is playing by our scheduled start time. We never charge any set up or tear down fees. We arrive with a 7x16’ custom enclosed trailer full of various gear to supply enough sound and lighting for any venue here in the valley. We have professional DJ booths that are back lit with LED lighting that we can match to nearly any color you choose. We provide Sennheiser brand wireless microphones. We also have a large selection of Chauvet computer controlled dance floor lighting consisting of multiple LED intelligent moving heads, led effect lighting and fog machines. We can set any color or mood you prefer with our light shows. Also available are Chauvet LED "up lights" if you would like to an extra splash of color to your venue. Our favorite quote is this "The bitterness of poor quality remains long after the sweetness of a cheap price is forgotten"